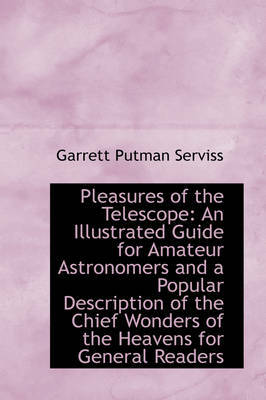 Garrett Putnam Serviss (1851-1929) was an astronomer, popularizer of astronomy, and early science fiction writer. He took a law degree at Columbia. In 1876 he joined the staff of the New York Sun newspaper. Serviss showed a talent for explaining scientific details, leading Andrew Carnegie to invite him to deliver The Urania Lectures on cosmology, astronomy, and geology. Serviss toured the United States for over two years delivering these lectures, then settling down to become a popular speaker in the New York area. He gained a syndicated newspaper column devoted to astronomy and other sciences and wrote frequently for the leading magazines of the day. 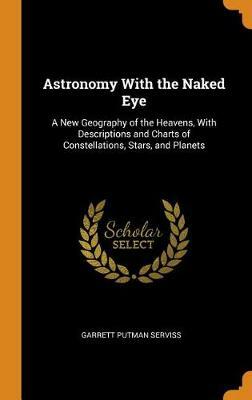 Serviss's favourite topic was astronomy, as shown by the fact that of the fifteen books he wrote, eight are devoted to that science. His works includes: Astronomy Through an Opera Glass (1888), A Columbus of Space (1894), Edison's Conquest of Mars (1898), The Moon Metal (1900), Pleasures of the Telescope (1901), The Moon (1907), Astronomy With the Naked Eye (1908), Curiosities of the Sky (1909), Round the Year With the Stars (1910), and Astronomy in a Nutshell (1912). Buy A Columbus of Space (Dodo Press) by Garrett Putman Serviss from Australia's Online Independent Bookstore, Boomerang Books.